On violins the ribs are typically a little over a millimeter thick, made of maple with the wood flames visible for aesthetic purposes. 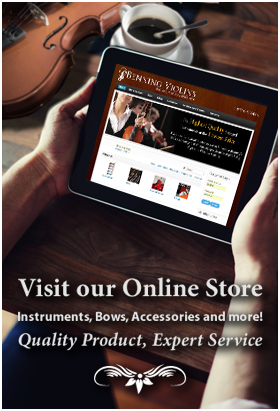 Though numerous methods exist, the process of bending the ribs typically involves the violinmaker using heat and moisture to reorient the fiber structure of the wood, or else it will revert back to its original form. Once the pieces of maple are sliced and evened at the right thickness between 1-1.5 mm, they are ready to be bent. The pieces are moistened but not fully soaked, as too much moisture can stiffen and warp the maple. Next, the pieces are heated and bent on a bending iron. Then, the maker places them on a mould. Some moulds are “French style” meaning the ribs fit inside it and take on its shape that way. Others are “Italian style” with the ribs placed around a mould to keep its shape as they dry. Either way, the ribs must be clamped to the form when they are ready to dry. Corner blocks are placed on the mould before the ribs are clamped on, and the luthier applies glue to them. They bring added support to the ribs in the pointed corners surrounding the center bout. 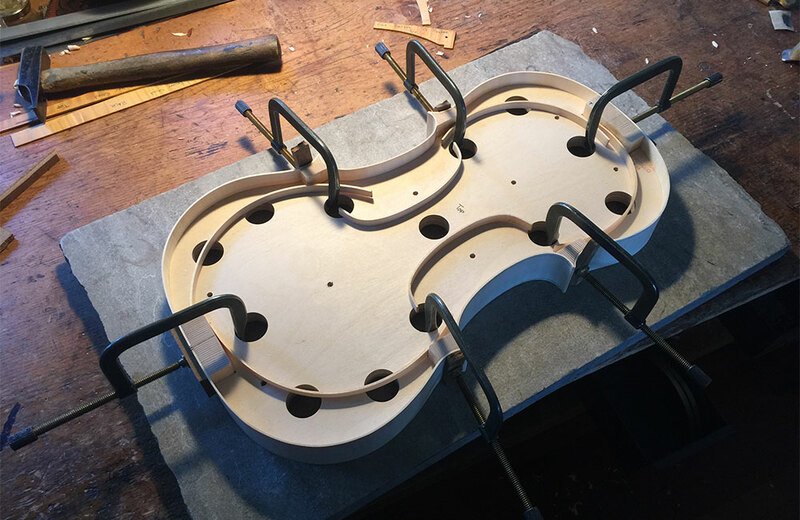 Sometimes the violinmaker may prefer to glue and dry the center bout before cutting the blocks and rib ends to fit with other ribs. Linings are also heated and bent to fit behind the ribs bringing structural support to stringed instruments. They can be glued as soon as the ribs are dried, and clamped onto the ribs at the edges above and behind the mould.